Should the NFL Be Worried About Ratings? Following my two-part look inside the CBA halfway through its 10-year term—Part I & Part II—let’s examine a few outstanding issues in the business of the NFL. Ratings are down early this season compared to a 2015 season that experienced record highs, even after the (first) offseason of Deflategate machinations. The primary areas of decline have been night games: Sunday and Monday night, as well as the CBS Thursday night package (the ratings for the NFL Network-only broadcast increased compared to last season). As for Sunday day games, CBS games are down a small percentage and Fox games are virtually unchanged. One obvious explanation for the decline is that not only are we in an election year, but we are also in the most polarizing and thereby eyeball-grabbing election year ever. Donald Trump’s relentless braggadocio has been nightly ratings gold for cable news networks, drawing viewers from all other programming. 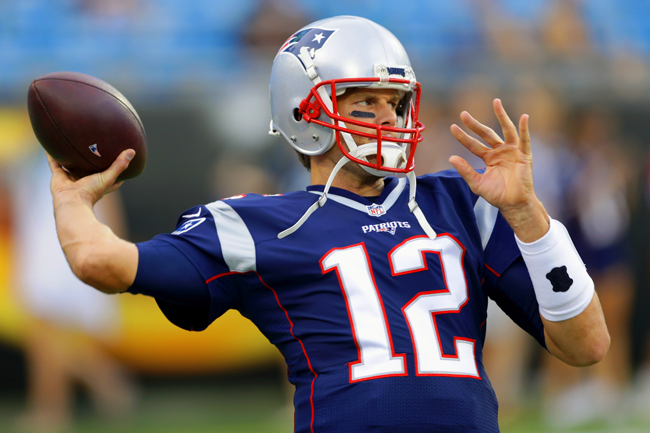 Further, while marquee teams have been featured, some have been without last year’s guaranteed ratings magnets such as the Broncos (Peyton Manning) and the Patriots (Tom Brady). In a head-to-head matchup, the much-anticipated first presidential debate was a landslide winner over a Monday night Falcons-Saints matchup. It will be interesting to see how this Sunday night’s town hall debate will fare against the popular Giants-Packers game on NBC. Another theory a decline in ratings concerns a Colin Kaepernick-driven negativity about the league and its players. My response to that is this: if, in fact, Kaepernick is driving national ratings, then he is more powerful than any NFL-related person, including Roger Goodell. The true question to ask about a potential decline in ratings, if there is indeed one, is whether it will matter to the next round of negotiations. It is hard to envision a scenario in which an existing NFL broadcast partner 1) declines to bid for NFL rights, or 2) negotiates aggressively based on any ratings decline. Leverage is about options: the NFL will have options, including tech suitors poised to enter the broadcast space. As to the networks, there are no options that deliver demographically desirable numbers that the NFL brings. NFL broadcast negotiations have always been more an auction than a negotiation; it is hard to see that changing. There were probably some cross-eyed looks around the Texans organization last week when news spread that J.J. Watt, the team’s most important player, was shelved for the season after a recurrence of his back injury. 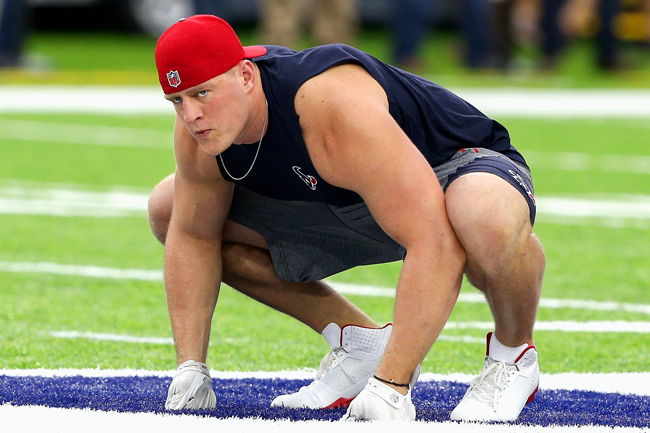 When Watt returned sooner than expected following offseason surgery, most outside the team nodded approvingly at Watt’s astounding work ethic and recovery. Inside the team, however, a longer view may have been needed to pump the brakes on Watt’s enthusiasm to return. Players want to play; it is what they do, and the culture of playing through pain and injuries has always been part of football lore. How many times have we heard that a player is going to play unless his arm falls off or he will have to be dragged off that field? In the area of concussions, we are starting to chip away at tough-it-out culture, with return-to-play decisions clearly in the hands of the medical staff (despite major hiccups with Case Keenum and Cam Newton). These are medical decisions, not football decisions. With regards to Watt, shouldn’t return-to-play guidelines be the same with the back—or any body part—as the head? If we are truly trying to do what is in the best interests of players and trying to change the culture, shouldn’t we err on the side of conservative return-to-play guidelines for all injuries? Certainly Watt was itching to get back, and I am sure he can be very persuasive with team and medical officials. These are tough and uncomfortable conversations, but we hope that Watt was prescribed what he needed to hear and do, not what he wanted to hear and do. Winner: The NFL. The league preserved its cherished CBA commissioner power over player conduct, keeping its thumb on its partner/adversary, the NFLPA, in the process. Loser: The NFL. While winning in the court of law, the league suffered some blows in the court of public opinion, even beyond New England. Loser: The Patriots. Despite Robert Kraft’s vociferous lashing out at Brady’s suspension, the team accepted its penalty without appeal. Winner: The lawyers (of course). From Ted Wells to Jeffrey Kessler to Paul Clement to Ted Olsen to armies of attorneys around them, Deflategate was the gift that kept on giving. Loser: The NFLPA. The NFL now has favorable precedent from both the second (Brady) and ninth (Peterson) circuit courts in deferring to the language of the CBA in ruling for the NFL. Despite millions of dollars in legal fees used to fight it, the commissioner’s power may be stronger than ever. Winner and loser: Judge Berman. His bold chastisement of the NFL one year ago made him an instant hero in New England and beyond. That status was short-lived, however, as his ruling now lives only as a footnote to the high court’s contrary conclusion. Loser and Winner: Tom Brady. Brady seemed invincible a year ago yet ultimately lost the battle and missed the first month of this season with a suspension for “conduct detrimental” that Goodell determined to violate the integrity of the game. In the process, however, Brady became a sympathetic figure combating what appeared to be an arbitrary dispensation of NFL justice. Brady restructured his contract to take less of a financial hit during suspension and endured the suspension period with various trips, including one to the Italian coast with his wife.